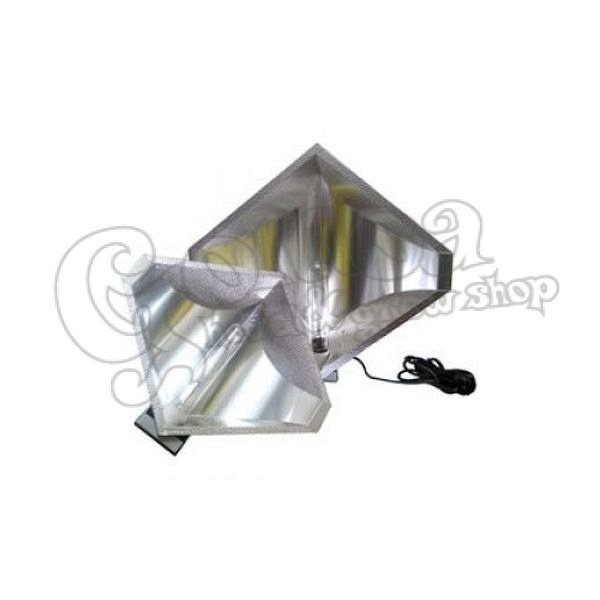 Ecotechnics Diamond Reflectors are the result of 15 years experience in the hydroponics industry. Photometric Laboratory testing has revealed that diamond reflectors produce an average light intensity of up to 50% more than conventional reflectors. There are two variants of the diamond reflector; the D400 & D600. For use with 250, 400 & 600w Lamps. Up to 50% yield increase. More even plant growth. E40 Screw fitting lamp holder. CE marked. The D-400 Diamond Reflector has been optimized for use with a 250 or 400w lamp with a coverage of 1.2 m2 (square meters) and a mounting height of 30-50cm above your plant tops. 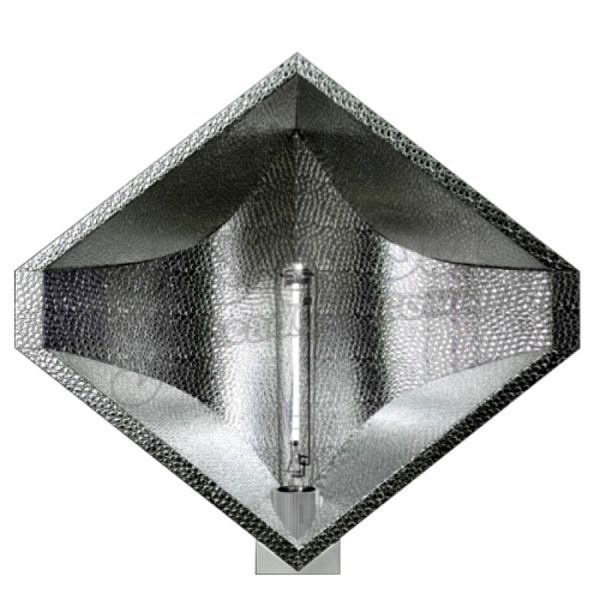 The D-600 Diamond Reflector has been optimized for use with a 600w lamp with a coverage of 1.5 m2 (square meters) and a mounting height of 40-60cm above your plant tops.